New York : Macmillan, 1992. Not nearly as good as his first book, this one has one "experiment" per chapter and none of them are as satisfying as the more linear, textbook-paced writing of the first one. 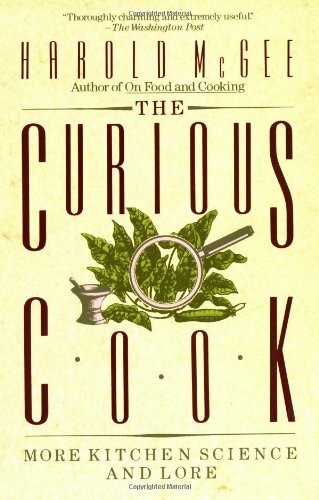 Harold McGee is an excellent and engaging food science writer. I only wish this book were more given over to experimentation and not (as is the case) half of it meandering musings. Still recommended, though.